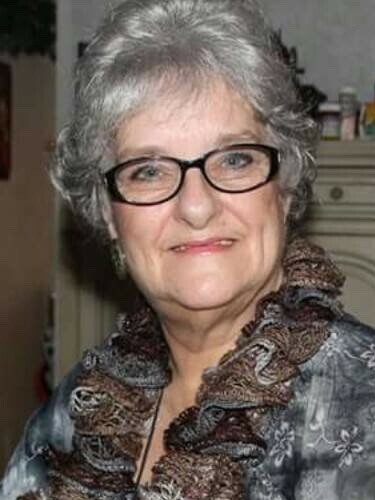 Julia A. Bolen, 70 of Josephine passed away on Saturday March 23rd, 2019 at the Bowers Hospice House in Beckley WV. Born May 25th, 1948 in Beckley WV and raised in Rhodell, she was the daughter of the late Shelby Sylvan Pennington and Irene Kelley Lawson. Julia was proceeded in death by her husband with whom she shared 45 years of marriage, Aaron Douglas Bolen. Two sisters; Karen Lawson and Debbie Sullivan also proceeded her in death. Julia was a member of Cornerstone Freewill Baptist Church, which she and her late husband enjoyed attending. She will be remembered for her caring heart and how she took care of others. She was a foster parent who took care of many children through Pressley Ridge. Julia is survived by her children; Teresa (Andy) Wilcox of Cool Ridge, Patricia (Chris) Ellison of Josephine, Doug (Heather) Bolen of Josephine. Grandchildren; Chrystal (Justin) Massie, Stephanie (Beth Hammons) Thompson, Justin Thompson, Joshua (Jenny) Thompson, Brianna Ellison, Chance, Audri, and Bailee Bolen. Great Grandchildren; Alyssa, Summer, and Michael Bolen, Eli, Raymond, Hazel, and Teagan Hammons, Mia Thompson. Services celebrating her life will be held at 2 p.m. Tuesday, March 26th, 2019 at the Melton Mortuary and Cremation Center Chapel at 1200 Harper Road in Beckley WV with Pastors Roger Tolliver, David Brooks, and Kenny Lambert officiating. Friends may call on the family from 12 noon until time of service on Tuesday. Burial will follow at the Hannah Lilly Cemetery at Odd WV. In lieu of flowers donations may be made to the Bowers Hospice House in Beckley at 454 Cranberry Dr. Beckley, WV 25801-8560.